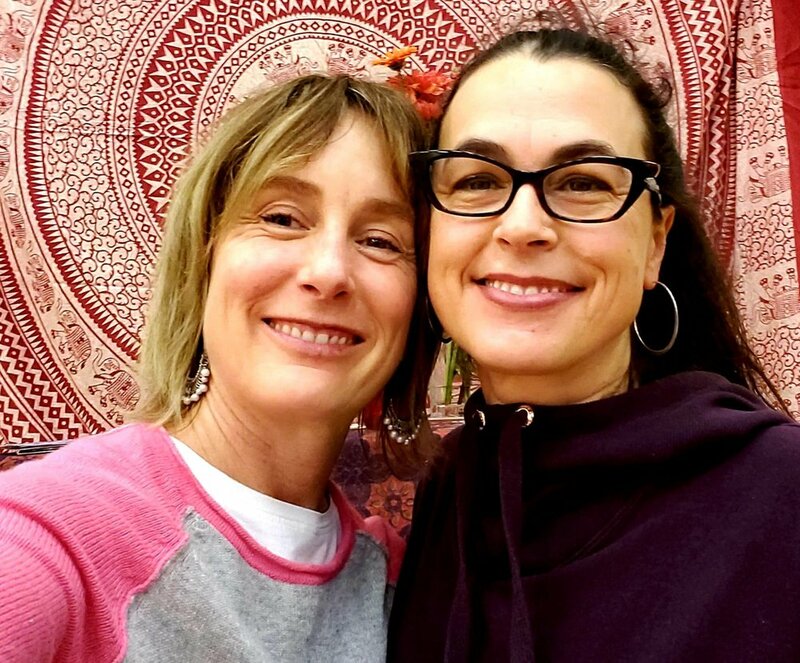 In November 2018, I attended an Anusara weekend workshop with the lovely Tiffany Wood, as she guided us through a process of radical self-discovery, uncovering our own self-awareness—both on and off the mat. If you don’t know Tiffany Wood, she’s a Certified Anusara© yoga teacher from America who discovered her own yoga path in 1996. Tiffany, who lives in Utah, came over to share her vast experiences with a faithful Anusara following across Europe and here in the UK. Thanks to Isabel Ferreira, who organized her UK workshops, I was able to practice, learn and fine-tune my practice and add some refinements to my teaching. And, I can’t wait to share what I’ve learned with my students. Over the course of the weekend, we practiced precise body alignment and breath work with awareness. While the physical side of the practice was strong, precise and full of grace, the spiritual teachings resonated most for me and allowed me to dig deeper and truly get to know myself, from the inside out. We often talk about taking our practice off the mat and into the world, but what does that mean exactly? When we practice, we learn to cultivate kindness for ourselves and how we show up on the mat. We listen to our body and what it needs in that moment. When we bring this out into the world, it means we begin to treat others with kindness and it has a ripple effect. As Max Strom writes in his book, Breathing to Heal, “May our practice help to not only heal us, but all those around us and all those we touch in our lives, even those unwilling to heal — may our practice touch them.” This, to me, is how we change the world, one human at at time. As Tiffany states, “The things we have the most resistance around are what call us to expand into our awareness the most. Resistance is the container that allows the yogi to really open to the fullness of the moment.” This is what rang true to me the most during this weekend. I have to admit, I found the morning session challenging and I caught my inner critic thinking of ways to leave after the first session because my Ego found it so uncomfortable. But instead, I enjoyed a lovely lunch with friends old and new and returned to class with a renewed sense of opening and expansion to what I might learn to help me through the resistance I was feeling. Tiffany opened the afternoon workshop asking “What is the meaning of life?,” then sharing “There is no meaning. We bring meaning to life.” She invited us to step in and give meaning to our practice (which in turn gives meaning to our lives.) This resonated with me and brought a fresh perspective to my own practice. Once our own practice comes to life, who and what we are becomes clearer. I started teaching this year, after graduating from teacher training in 2016. It took me a year of excuses before I finally had enough courage to step on to the mat to teach. The universe opened up for me and guided me to a teaching opportunity that I couldn’t turn down. Teaching is so different from one’s own practice. It takes stepping in and expanding out to share your knowledge with others. And, you can only teach from your own meaningful experiences, so your practice becomes vital to helping others. Which brings me around to the fourth insight. Since we can only teach from our own experiences, it makes sense that our practice teaches us what we need to learn in our own lives before we can share that knowledge with others. Tiffany states, “Everything and everyone in the world—including yourself—is your teacher. It is my job to open the door and watch you step into greater self-awareness.” Ultimately, our yoga practice is to help us heal and grow, to purify our mind and heart so that we can perceive the Self within and share THAT with the world. If you’re interested in deepening your practice and learning more about refinement and subtle energies, then Tiffany’s teachings are a beautiful, practical and graceful way to be guided into the physical practice of yoga from the inside out. Many blessings and thanks to Tiffany for her dedication to the Anusara practice and for continuously stepping up and sharing her practice with the world.